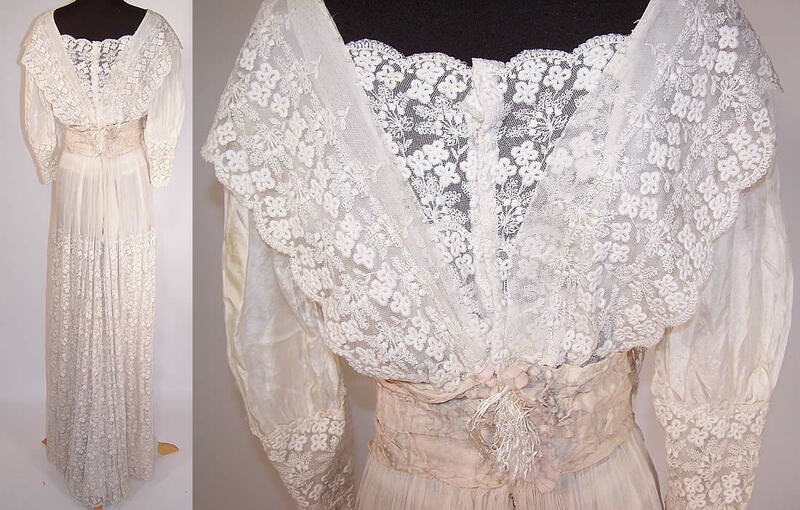 This antique Edwardian era white silk tambour embroidery net lace bridal wedding gown dress dates from 1910. 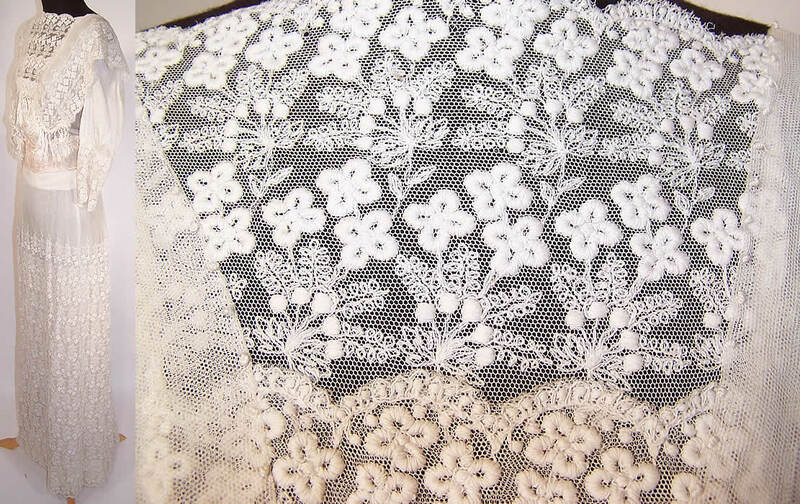 It is made of a sheer fine white silk fabric, with white net tambour raised embroidery work done in a floral pattern design. This lovely lace long floor length dress has a squared neckline, draping shoulder sleeve overlay, with a hand knotted silk fringe trim bottom bib flounce front, 3/4 length sleeves, a pale pink silk moire ribbon sash belt with stays and hook & eye closures down the back. It is fully lined in silk. The dress measures 60 inches long, with 34 inch hips, a 24 inch waist, 34 inch bust and 14 inch back. 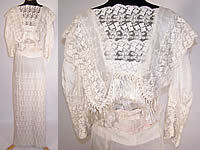 It is in good wearable condition, with only a few tiny repairs on the net skirt. 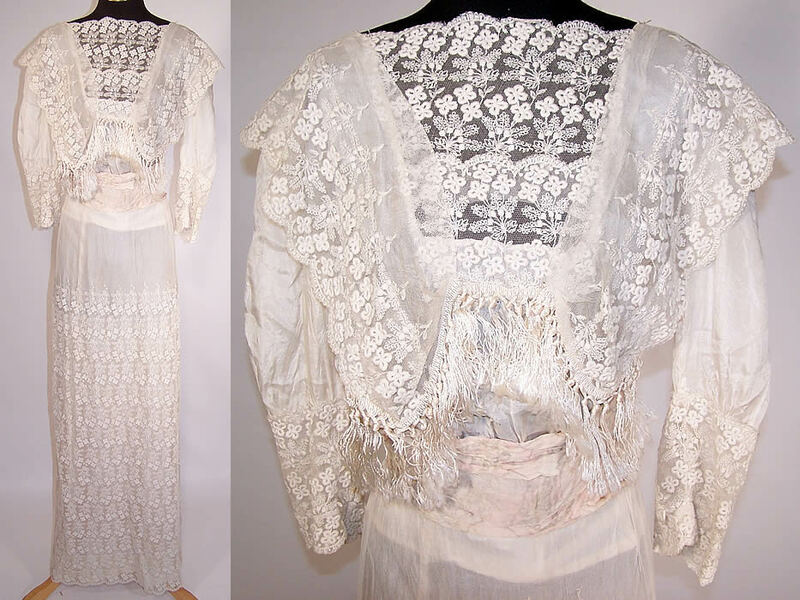 This is a wonderful piece of romantically feminine antique textile lace art which could be worn as a wedding gown or graduation dress!